The above quote comes from a post from ‘Tony’s Musings’ Blog about Jersey Workers: Unions and the struggle for the vote. 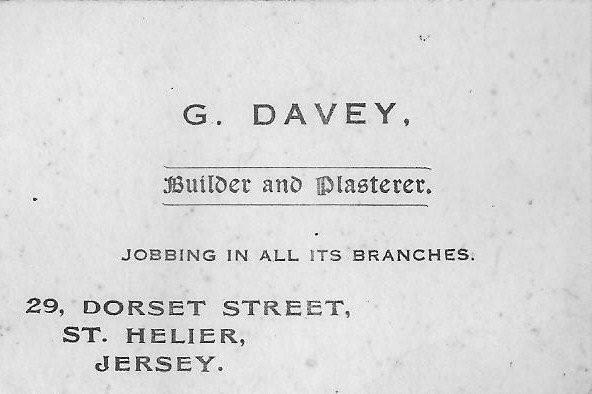 In my family George Perchard Davey was a ‘Builder & Plasterer’ during the 1940’s as far as I know. I have yet to find the exact dates. At the time of his death in 1947 an extract is put in the J.E.P. (local paper) inviting Officers and members of the Jersey Builders & Allied Trade Federation to attend the funeral.